For the last 18 years Chevron and a number of Ecuadorian tribes have been battling in court over one of the biggest environmental scandals in the world. Following an Ecuadorian court ruling which ordered Chevron to pay $9.5 billion in damages to the plaintiffs, the oil company pushed the case back to New York, winning a judgment which prevented the enforcement of the Ecuadorian ruling. Meanwhile the Amazon Defense Coalition said thousands of people are being affected by cancer and other illnesses from pollution and contamination. “It’s considered to be one of the largest environmental disasters in the world on record,” said Karen Hinton, spokesperson for the Amazon Defense Coalition. Local tribes in Amazon’s forests have been battling for compensation for damage caused by Texaco – a company owned by Chevron. Billions of gallons of toxic waste dumped onto Ecuador’s soil and waters ways causing casualties and serious environmental damage. “Over 1,400 people have died of cancer, and thousands more have died of other illnesses,” said Hinton. 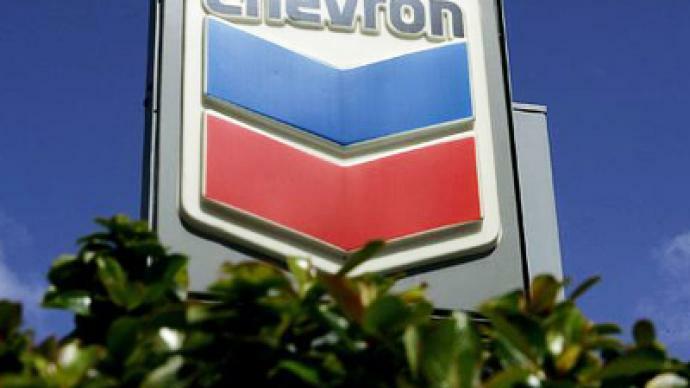 An Ecuadorian court ruled Chevron must pay 9.5 billion in damages, a sum the company could easily afford. “Though it’s certainly a large amount of money for you and me, this is something that could certainly be absorbed by Chevron, just as BP has been able to absorb the 20 billion or more cost of practically destroying the gulf of Mexico,” said Brad Johnson, the climate editor at Thinkprogress.com. However, absorbing is what one New York judge chose not to do by defending Chevron, and blocking the Ecuadorian court’s ruling from being enforced in the US and globally. 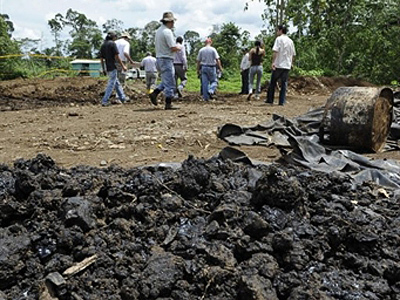 The judge cited harm to Chevron’s business as the reason for his decision. “That’s just nonsense. That’s really what it is,” remarked Johnson. Why would a New York judge meddle in a legal battle Chevron initially insisted take place in Ecuador? “Obviously it’s a US company, they have huge interests here, they are capable of very severe pressure against those that wish in any way to harm their interest. And of course they have friends in a lot of high places,” said author and lawyer Eva Golinger. While Ecuador’s tribal members certainly do not, said Greg Palast, an investigative journalist and filmmaker. He said Chevron has been calling all the shots in the case. “They said don’t try the case in the United States, so they sent it down to Ecuador. Then – they said – now we don’t like the case in Ecuador because of a bad ruling, so now try it in the United States,” Palast commented. Now the multinational corporation is accusing Ecuadorian villagers and farmers of trying to rob the company’s pockets. 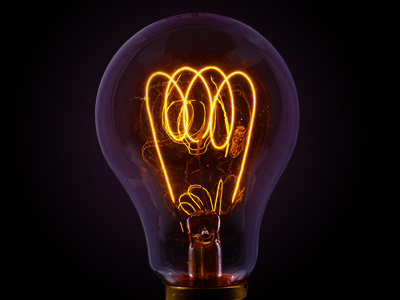 “We have been seeing this fraud go on for the last 20 years – we continue to uncover it. We will continue to pursue several options both internationally and here in the U.S. courts,” said Morgan Crinklaw, Chevron Spokesperson in San Francisco. Legal experts site double standards, as dumping toxic waste on American soil is a crime that no company would be allowed to get away with. “Corporations don’t ever want to be held accountable for their actions, especially in other countries. Absolutely, there is a double standard,” explained Eva Golinger. If Ecuador won the case, a legal precedent would be set: Chevron’s and other oil giants’ biggest nightmare. “If they pay in Ecuador, they are going to have to pay in Mexico, they’re going to have to pay in Nigeria, they’re going to have to pay in Indonesia. Wherever they have gone, and spoiled, and destroyed the environment. They wanna kill this right now, so it never comes up again anywhere,” said Palast. The battle between the oil giant and Ecuador looks set to rage on for many more years. Ecuador’s defense team said as many as 10,000 more people may be afflicted by cancer if the damages are not taken care of immediately. Han Shan, the coordinator at the Clean Up Ecuador Campaign of Amazon Watch explained the case is highly concerning, because after a great deal of legal preceding and a verdict in Ecuador, Chevron continues its policies leading to a number of deaths and illnesses in Ecuador to this day. In addition, Chevron was the first to initially request the case be heard in Ecuador, but when the verdict was not in their favor they ran back to the US to a judge who would support their side.